US Army investigates whether or not controversial US captive deserted to join the Taliban. Sgt. and former Al-Qaeda captive Bowe Bergdahl met with US Army officials all day Wednesday, his attorney Eugene Fidell told ABC News, as the investigation into the soldier's suspicious disappearance an terrorist-trade release formally begins. "I think it was important and useful for him to be able to tell his own story and not have it told for him by anyone else," Fidel stated early Thursday. Major General Kenneth Dahl is heading the AR 15-6 investigation, according to the Daily Mail, and is seeking answers on the cause of Bergdahl's capture. 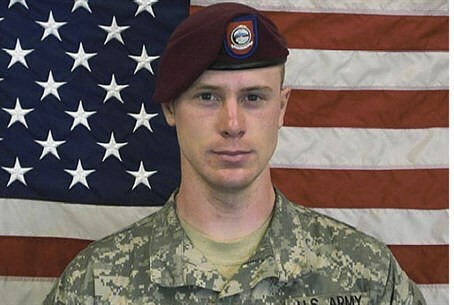 Army spokesman Lt. Col. Alayne Conway has stated that Bergdahl was cooperating so far and had been formed of his Article 31 rights, which entail him not to reveal any information to investigators. "This in an ongoing investigation; the investigating officer has 60 days from his appointment to conclude his investigation; however, he can request additional time if he feels it is necessary," Conway said in an emailed statement to the British daily. She declined to give further details. The US Army has concluded in previous investigations that Bergdahl walked away from his base without authorization before being taken by the Taliban, but have stopped short of calling him a "deserter." Bergdahl is currently not facing any criminal charges. The distinction is important, however, for the sake of public opinion - after the trade of the US captive for five top Taliban terrorists was hailed as a "victory" for Al Qaeda and sparked fears of a dangerous precedent being set for future terrorist releases. Just last week, a House of Representatives panel condemned US President Barack Obama for the terrorist trade - and not informing Congress 30 days in advance of the swap, as is mandated by US law - in a 34-25 vote. Several elements of the deal have made the trade the subject of intense political and media scrutiny over the past several weeks: the failure to report the deal to Congress, which stands on shaky legal ground; the Taliban's hailing of the deal as a "tremendous victory" for terrorism in Afghanistan; and evidence that the soldier was not captured from his base, but deserted voluntarily - and even came to grow close to his captors, learning their language and teaching them badminton. The five Afghani Taliban prisoners released are widely thought to be the most senior terrorists held by the US at Guantamano Bay, and concerns have been raised that their return could facilitate a major rise in terrorism in the volatile region.